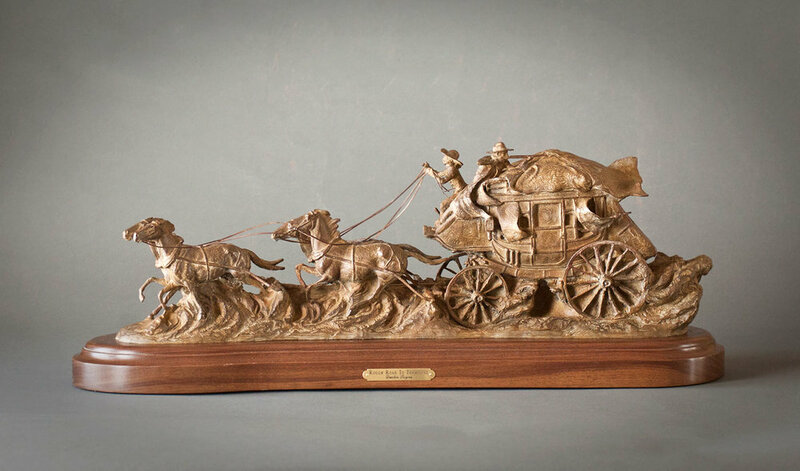 In January of 1882, a Wells Fargo stagecoach left Tombstone, Arizona, headed for Bisbee. On board were four passengers, the driver, and of course, the shotgun rider. 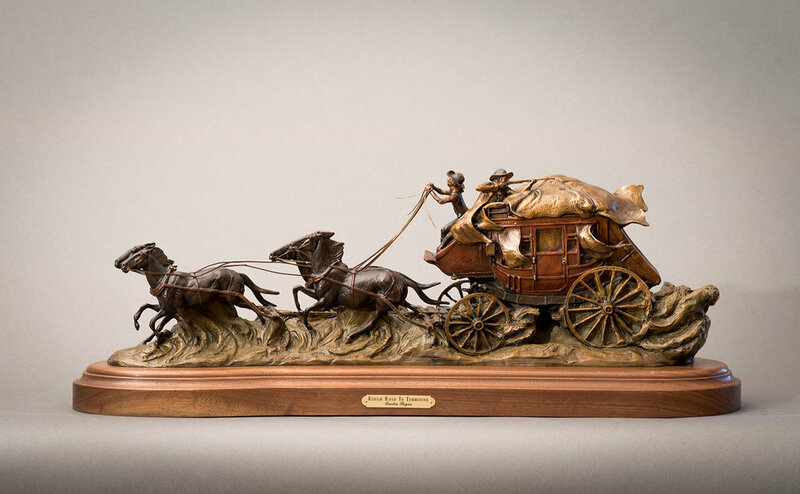 Down the road the coachmen observed five mounted riders moving fast with the intention of getting ahead of the coach. Fearing trouble, the shotgun rider rounded up a Winchester rifle in addition to his trusty double barrel shotgun. In the meantime the riders had disappeared. As the coach moved on towards Bisbee, the five riders suddenly appeared in front of them, blocking the road. With no warning, the riders opened fire on the coach, wounding one of the horses. The coach spun around and made a run for it, as the robbers pursued. The messenger then proceeded to open fire with his Winchester, but because of the jolting coach, his aim was very poor. With two horses left, the coach started out towards Tombstone, but was forced again to turn and go to Bisbee, hence giving them more time to make a getaway before the Earps could be contacted. The robbery was reported in Tombstone the following morning. The robbers included Frank Stillwell, Pete Spence, Ike Clanton, Curly Bill Borcius, and Pony Deal. Some accounts say this was the start of the Tombstone feud. It is also told in some accounts that Wyatt Earp chased these robbers all the way into New Mexico in order to recapture the stolen money and of course receive the reward offered by Wells Fargo of $500 for each of the robbers as well as one-fourth of all the treasure recovered. All Images and Information Copyright Dustin Payne Studio. Unauthorized use or duplication expressly prohibited. ©2019 Dustin Payne Studio, Inc.